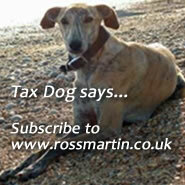 HMRC have launched a consultation 'Tackling offshore tax evasion: A Requirement to Correct.' This would require anyone with undeclared UK tax liabilities relating to offshore matters to correct the situation by September 2018 or face stiff penalties. Any person with UK tax irregularities relating to offshore issues must come forward and correct them. The correction must be made on or before 30 September 2018: at this point the Common Reporting Standard (CRS) will go live giving HMRC much more data on offshore activities. After September 2018, any person who has failed to correct their affairs will be subject to a tough new set of sanctions. Disclosure can be made through the Worldwide Disclosure Facility (WDF) and via the new online Digital Disclosure Service, both of which go live on Monday 5 September 2016. It won’t be restricted to any class of taxpayer (i.e. individuals, businesses etc). It will apply to UK tax liabilities arising due to overseas income, assets or activities. It will not be restricted to UK residents (so will also catch non-resident trustees). It will cover income tax, CGT and IHT. Delivery of an inaccurate document. Failing to make a return. Any future years would be corrected under the normal filing process. The usual 4,6 and 20 year assessment time limits would be measured from the start of the RTC window (i.e. April 2017) to stop years dropping out of date whilst it is open. HMRC are also considering a one off extension of the assessment periods following the RTC window to allow for review of CRS and automatic exchange of data information to uncover those who have not corrected. Model 1: Maximum and minimum penalties (proposed as 200% / 100% of tax not corrected) with reductions from the maximum for disclosure and co-operation. Model 2: Three defined levels of penalty (lower, standard and higher) with varying penalties depending on whether disclosure was prompted or unprompted. Include further asset based penalties. Not impose a penalty where the taxpayer had a reasonable excuse: HMRC indicate that given the considerable publicity around offshore tax this would be rare.